Boasting a refined, silver metal frame finished in a plated polished nickel, the Tazlina Floating Mirror is unique in form and size. 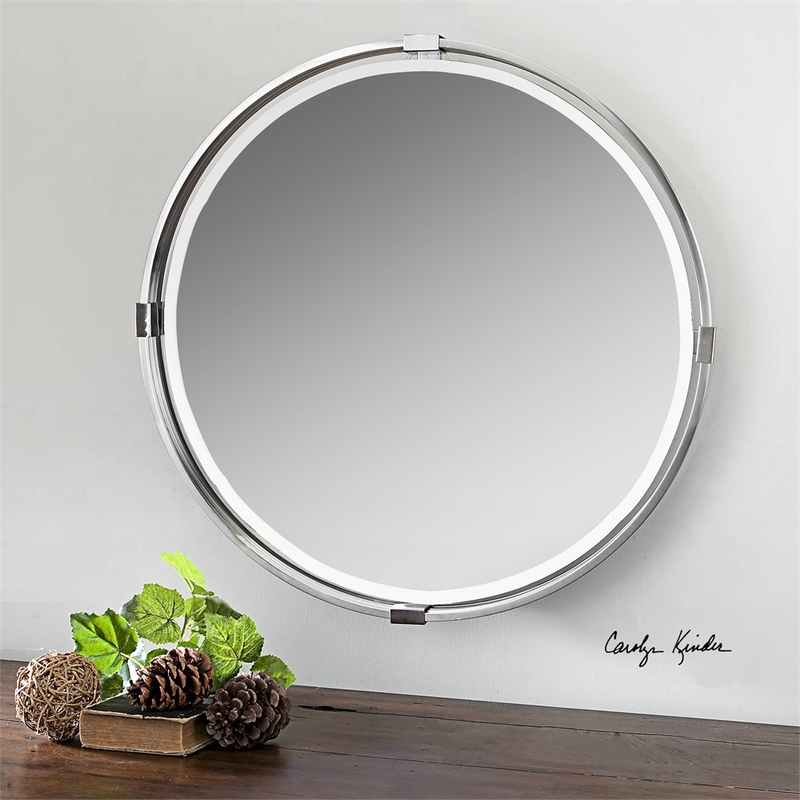 This sleek, modern round mirror has a diameter of 30 inches with a generous 1 1/4″ bevel. Designed by Carolyn Kinder International. Available to trade professionals at Uttermost.com. For retail purchase Google keywords “Carolyn Kinder Tazlina Floating Mirror”.